Unique Event Catering With Hugo! 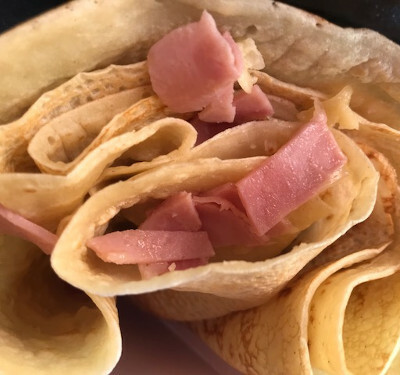 Serving sweet and savoury crêpes at Weddings, Events and Parties in Berkshire, Wiltshire and Surrounding Counties. 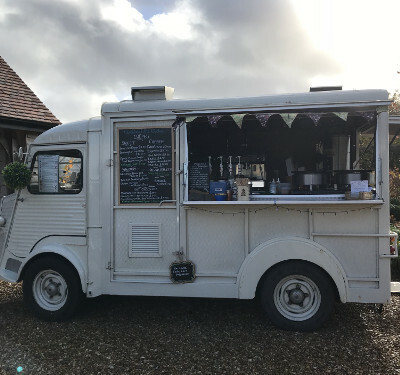 Caroline's Little Kitchen is a mobile vintage Citroen H van serving delicious mouth watering sweet and savoury crêpes. 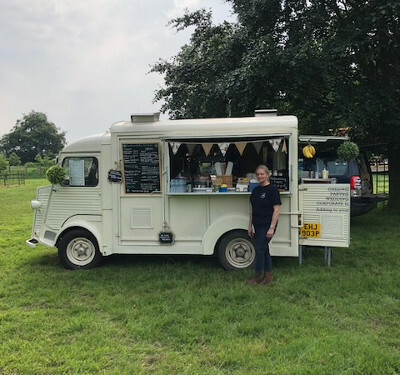 We are available to hire for weddings, the evening part of your wedding, catering events and private parties in Wiltshire, Berkshire, Gloucestershire and surrounding counties. Our delicious crêpes are made with the most tastiest of recipes and are cooked on traditional French Iron griddles. We also offer bespoke fresh coffee supplied by James Gourmet Coffee, pukka tea and luxury Monbana hot chocolate. We can cater for vegetarian and also gluten free is available. We scored a 5 star rating in our food and hygiene inspection and we comply to all the mobile caterer regulations. Delicious melt in the mouth freshly homemade crêpes. Tailormade to suit your perfect wedding day. Gorgeous converted Citroen H van called Hugo for hire. Gluten free and vegetarian available if required. Your event is unique and therefore we can produce crêpes, coffees and teas to match your requirements. It's all about the location and Hugo can go to any venue whether it be in a field, garden, marque, stately home or castle if you have one! Hugo is a gorgeous converted Citroen H van. Created in 1976, fitted out to the highest of standards. Unique in looks, sound and service. If you're starting to plan your event and would like to discuss your requirements, get in touch!